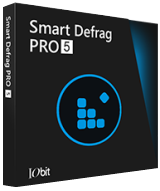 Smart Defrag 5.8.6 was available as a giveaway on November 30, 2017! How would you improve Smart Defrag 5.8.6? Hello, I'm tire-kicking this on my own computer and would like to suggest it to others, can anyone tell me if this app is safe in terms of Not installing browser toolbars or any other PUPs? Thanks in advance. ALWAYS had great results from Smart Defrag! Having been using it for years, with nothing but good results. Definitely makes file access faster! Justin Alias, ALWAYS had great results from Smart Defrag! Having been using it for years, with nothing but good results. Definitely makes file access faster! Justin Alias, just installed it on windows 10 laptop and it does offer a normally unwanted program before install begins, it also uses social engineering big green subscribe button and tiny standard link for no thanks where they try and get you to give them your email address to subscribe to a newsletter. In the program itself there is a tab called Action Center and that is nothing but a selection of all their other products they'd like you to install and buy... But no actual Actions relevent to the current programs operation at all. Justin Alias, just installed it on windows 10 laptop and it does offer a normally unwanted program before install begins, it also uses social engineering big green subscribe button and tiny standard link for no thanks where they try and get you to give them your email address to subscribe to a newsletter. In the program itself there is a tab called Action Center and that is nothing but a selection of all their other products they'd like you to install and buy... But no actual Actions relevent to the current programs operation at all. This program is NOT THE PRO VERSION! Downloaded from GOTD, removed the previous FREE version, and installed the new download. Once finished, it ran automatically and declares itself to be the FREE version, the same one that was running before. Is this GOTD a joke? JMenning, -- My mistake! The license code in the ReadMe file must be entered before the program becomes the Pro version. Upon restarting, the program declares itself to be 5.7.1 Pro. I like the speed of this Pro edition giveaway. Nice value packed offer, thank you. 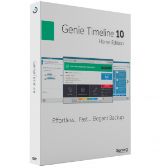 I have found this software to be useful for a number of years. My license ran out awhile back and I was able to simply enter the GOTD supplied license into the free version and all is well. I have found it does TRIM the 3 SSD's in my PC as well as defrags 2 x 4 gig storage drives, USB Thumb Drives and 2 4 gig externals quite nicely. I normally use this program on my system after I have deleted or made major changes in what is being stored. I have Samsung EVO's without any failures in the last 3 plus years. I find the utilities in Win 10 Pro somewhat cumbersome and mundane. Rick Martin, I just tested it on my win10 SSD based laptop and it does NOT TRIM a SSD drive it "Trim"s it and all it does is Enable the OS support for Delete notify which is how Win7 and above TRIM a drive when a file is deleted.. it disables boot time defrag to extend SSD life and disables scheduled disk defragment task to extend SSD life. Now windows 7 and above that has been installed on a SSD should have disabled the drive letters in the scheduled defragment and boot time defragment and have delete notify enabled by default. So practically this does worse than nothing as the magnetic media drives still benefit from scheduled defragmentation. Even worse it was unable to recognise a SSD in a USB enclosure so it treated it like a magnetic media drive and offered to defragment it! Same goes for USB flash drive it should not offer to defragment flash media on any interface since there is zero speed access benefit to defragmenting a file system on a flash memory based media and thumb drives are more vulnerable since they do not perform wear leveling like modern SSD drives do. Rick Martin, I just tested it on my win10 SSD based laptop and it does NOT TRIM a SSD drive it "Trim"s it and all it does is Enable the OS support for Delete notify which is how Win7 and above TRIM a drive when a file is deleted.. it disables boot time defrag to extend SSD life and disables scheduled disk defragment task to extend SSD life. Now windows 7 and above that has been installed on a SSD should have disabled the drive letters in the scheduled defragment and boot time defragment and have delete notify enabled by default. So practically this does worse than nothing as the magnetic media drives still benefit from scheduled defragmentation. Even worse it was unable to recognise a SSD in a USB enclosure so it treated it like a magnetic media drive and offered to defragment it! Same goes for USB flash drive it should not offer to defragment flash media on any interface since there is zero speed access benefit to defragmenting a file system on a flash memory based media and thumb drives are more vulnerable since they do not perform wear leveling like modern SSD drives do. LOL...my computer is being overtaken, to work better, by iObit..have their pro uninstaller, Malware Fighter 5 and now Smart Defrag..will give it a run and post results. This is crazy! I keep clicking on the download link and keep getting sent to the "Share this..." page. When I close it and try to download again, it goes back to that page again. HELP!!! Glendon Gray, that trick doesn't seem to work anymore. If you want to bypass the obnoxious forced social media sharing, you'll have to use the email option provided at the bottom of the popup. Jim Stone, simple workaround. Share it to yourself then delete it. Bart, that only works if you have a facebook account. Many don't have one and don't ever want one. A conventional hard drive stores data on round discs or platters that spin while the read/write heads move in & out, away from & towards the center. The faster those platters spin BTW, the better the performance, e.g. laptop & less expensive drives typically spin at 5400, while performance drives spin at 7200, & high performance drives might spin at 10,000 or more. The circumference of the drive platters is of course larger at the outer edge -- tracks [maybe think of the grooves on a vinyl record] close to that outer edge contain more data than those nearer the center. Finally, data is stored in small pieces or chunks. Defragmenting a drive does 3 things... One, it tries to place the small chunks of data that make up each file next to each other in sequence -- that way the heads aren't jumping in & out to read each file. Two, it packs the stored data towards the beginning of the drive partition -- Note that Windows intentionally places some immovable files away from the beginning of the Windows or system partition, so you won't get perfect results if/when you only have a relatively small amount of data, e.g. ~12 GB for a minimal Win10 install. Three, it places the files the software *thinks* you need most on the fastest portion of the drive/partition -- this is often where program X differs from program Y, e.g. iObit advertises that Smart Defrag can help Windows start faster, probably by placing files Windows uses at startup on that fastest portion of the drive platter(s). The actual process of moving the chunks of data stored on the drive's platters is handled by Windows, but which files go where, and the tolerances [balancing the time it takes vs. benefits] vary with the software used. Files that are being used by Windows can't be moved physically on the drive platters, so you *potentially* get better results defragging a Windows system partition while running another OS, e.g. a dual boot PC or using a bootable USB stick/drive. The catch is that when that copy of Windows is not running, it's difficult for the software to determine what files should be placed on the faster portion of the drive. Not having any moving parts, SSDs don't benefit from defragging of course. All types of drives wear out, but with a conventional hard drive, the date it's going to die is unknown. SSDs however have a specific lifespan based on the number of writes. If you try to defrag a SSD, you're using up some of its lifespan by writing to the drive, but you're not doing anything disastrous, so don't worry if you ran a defrag & later heard it'll kill your SSD. With a conventional hard drive, writing data overwrites anything that was previously written to that location. Not so with an SSD -- it takes one operation to remove any preexisting data, & a second op to write the new data. So, to prevent that 2-step process from slowing you down, data that's no longer used [deleted files] is cleared beforehand, when the drive's not otherwise in use -- this is that TRIM process you read about. It can be -- probably is -- included in your SSD's firmware, is included in Windows 7 & later, and included in Smart Defrag. A so-called Hybrid hard drive is a conventional hard drive with a small SSD it uses as a cache. The drive's firmware tries to determine what files you use most, then stores those files on the SSD portion, so you have faster access to them. [In that respect it's like a defrag app moving certain files to the fastest part of the drive/partition, &/or Windows Prefetch.] As far as you & Windows are concerned, it's just a conventional drive like any other, with the SSD controlled by the drive's firmware. A conventional hard drive stores data on round discs or platters that spin while the read/write heads move in & out, away from & towards the center. The faster those platters spin BTW, the better the performance, e.g. laptop & less expensive drives typically spin at 5400, while performance drives spin at 7200, & high performance drives might spin at 10,000 or more. The circumference of the drive platters is of course larger at the outer edge -- tracks [maybe think of the grooves on a vinyl record] close to that outer edge contain more data than those nearer the center. Finally, data is stored in small pieces or chunks. Defragmenting a drive does 3 things... One, it tries to place the small chunks of data that make up each file next to each other in sequence -- that way the heads aren't jumping in & out to read each file. Two, it packs the stored data towards the beginning of the drive partition -- Note that Windows intentionally places some immovable files away from the beginning of the Windows or system partition, so you won't get perfect results if/when you only have a relatively small amount of data, e.g. ~12 GB for a minimal Win10 install. Three, it places the files the software *thinks* you need most on the fastest portion of the drive/partition -- this is often where program X differs from program Y, e.g. iObit advertises that Smart Defrag can help Windows start faster, probably by placing files Windows uses at startup on that fastest portion of the drive platter(s). The actual process of moving the chunks of data stored on the drive's platters is handled by Windows, but which files go where, and the tolerances [balancing the time it takes vs. benefits] vary with the software used. Files that are being used by Windows can't be moved physically on the drive platters, so you *potentially* get better results defragging a Windows system partition while running another OS, e.g. a dual boot PC or using a bootable USB stick/drive. The catch is that when that copy of Windows is not running, it's difficult for the software to determine what files should be placed on the faster portion of the drive. Moving data towards the beginning of a partition is the 1st step if/when you want to shrink a partition. If you have a dynamically expanding VHD [Virtual Hard Disk] -- one that grows as needed rather than taking up a fixed, maximum size on disk -- it's the 1st step to compacting [shrinking the disk footprint of] that VHD. Otherwise defragging a drive/partition isn't a bad thing -- though it can push a failing drive over the edge, so back up 1st if the drive is suspect -- but I wouldn't expect most people will notice a huge difference afterward. Putting certain files on the fastest portion of the drive/partition OTOH stand a greater chance of making a noticeable difference. [The trick is determining which files are used most often, or for a particular purpose, e.g. Smart Defrag's helping Windows start faster.] Not having any moving parts, SSDs don't benefit from defragging of course. All types of drives wear out, but with a conventional hard drive, the date it's going to die is unknown. SSDs however have a specific lifespan based on the number of writes. If you try to defrag a SSD, you're using up some of its lifespan by writing to the drive, but you're not doing anything disastrous, so don't worry if you ran a defrag & later heard it'll kill your SSD. With a conventional hard drive, writing data overwrites anything that was previously written to that location. Not so with an SSD -- it takes one operation to remove any preexisting data, & a second op to write the new data. So, to prevent that 2-step process from slowing you down, data that's no longer used [deleted files] is cleared beforehand, when the drive's not otherwise in use -- this is that TRIM process you read about. It can be -- probably is -- included in your SSD's firmware, is included in Windows 7 & later, and included in Smart Defrag. A so-called Hybrid hard drive is a conventional hard drive with a small SSD it uses as a cache. The drive's firmware tries to determine what files you use most, then stores those files on the SSD portion, so you have faster access to them. [In that respect it's like a defrag app moving certain files to the fastest part of the drive/partition, &/or Windows Prefetch.] As far as you & Windows are concerned, it's just a conventional drive like any other, with the SSD controlled by the drive's firmware. This is a good program. I've been using it for a couple of years. It works fine. I have downloaded it and gave it a try with my C drive. The result was a disaster. I wrote down my free space before running anything: 52,1 GB. After each of the options of the program, I had less and less space. I tried Analyze, then Fast Defrag, then Defrag & Optimize and then Free Space Defrag. Now I have 30,1 GB of free space!! Where the hell have the 20 GB gone? Isn't defragmenting a way to recover space by moving files together so that they take up less space? So now I am disappointed and pissed off. I have downloaded it and gave it a try with my C drive. The result was a disaster. I wrote down my free space before running anything: 52,1 GB. After each of the options of the program, I had less and less space. I tried Analyze, then Fast Defrag, then Defrag & Optimize and then Free Space Defrag. Now I have 30,1 GB of free space!! Where the hell have the 20 GB gone? Isn't defragmenting a way to recover space by moving files together so that they take up less space? So now I am disappointed and pissed off. Sonia M, would I be right in deducing that you have system restore protection enabled on the drive that lost free space during a defrag session? If so that works by keeping databases of the drives sectors previous contents everytime you write to the drive so it can produce a historical record of the drive that it can restore the previous state using system restore and individual files if previous versions is supported and earlier versions of the file exist that could be restored. Defragmenting usually involves alot of writes to the target drive so in doing so the databases hidden away in the System Volume Information will grow proprtionally. It is not a fault or operation of the defrag program. It is one of the reasons Microsoft defragger by default does not attempt to defrag large files with fragments bigger that I think 64Mbytes as the read time is more significant as a seek and moving large chunks of data just grows the VSS protection databases eating freespace with practically zero benefit. Sonia M, would I be right in deducing that you have system restore protection enabled on the drive that lost free space during a defrag session? If so that works by keeping databases of the drives sectors previous contents everytime you write to the drive so it can produce a historical record of the drive that it can restore the previous state using system restore and individual files if previous versions is supported and earlier versions of the file exist that could be restored. Defragmenting usually involves alot of writes to the target drive so in doing so the databases hidden away in the System Volume Information will grow proprtionally. It is not a fault or operation of the defrag program. It is one of the reasons Microsoft defragger by default does not attempt to defrag large files with fragments bigger that I think 64Mbytes as the read time is more significant as a seek and moving large chunks of data just grows the VSS protection databases eating freespace with practically zero benefit. TK, I've followed your suggestions and I'm happy to report that the space has gone up to 156 GB. I have disabled the system restore protection, deleted the previous restorations points, and enabled it again adjusting it to the minimum usage. And finally I've created a single restoration point, just in case. I apologize because my lack of knowledge on this matter has made me write a bad review. TK, I've followed your suggestions and I'm happy to report that the space has gone up to 156 GB. I have disabled the system restore protection, deleted the previous restorations points, and enabled it again adjusting it to the minimum usage. And finally I've created a single restoration point, just in case. I apologize because my lack of knowledge on this matter has made me write a bad review. Sonia M, that is basically what I would have done :-), of course I would have confirmed I was happy with how the system was performing, stability etc and that I had retrieved previous versions of any file version I might have needed again, but yes practically you'd be advised to disable system restore protection prior to defragmenting a drive using a different defragmentation tool than you normally use for the reasons discussed and then re-instating system protection and creating an initial restore point right afterwards. Don't feel bad microsoft counts on most of its customers not understanding the intracacies of what its operating system is doing in the background without your knowledge. Sonia M, that is basically what I would have done :-), of course I would have confirmed I was happy with how the system was performing, stability etc and that I had retrieved previous versions of any file version I might have needed again, but yes practically you'd be advised to disable system restore protection prior to defragmenting a drive using a different defragmentation tool than you normally use for the reasons discussed and then re-instating system protection and creating an initial restore point right afterwards. Don't feel bad microsoft counts on most of its customers not understanding the intracacies of what its operating system is doing in the background without your knowledge. I have a question? Will this work on exterior hard drives as well, I have a 1 Tb hard drive that I use for storage of downloads and videos, It has become sluggish as of late and would like to use this to defrag this drive, will it work? b) you can run the full program which then shows *all* your drives including the external drive. I've also discovered that you can defrag a USB stick too! It probably deals with anything that shows up as a drive in Windows File Explorer, I would imagine. The drives appear/disappear dynamically in Smart Defrag's display as you attach/Eject them. I think this is good and helpful behaviour. Paul269, good question! I've just investigated this and the answer is yes it does work on external HDDs. You can either a) right click the drive in File Explorer and select "Defrag by Smart Defrag" to work on just the one drive or b) you can run the full program which then shows *all* your drives including the external drive. I've also discovered that you can defrag a USB stick too! It probably deals with anything that shows up as a drive in Windows File Explorer, I would imagine. The drives appear/disappear dynamically in Smart Defrag's display as you attach/Eject them. I think this is good and helpful behaviour. Windows 10 defrags by itself. These progs no longer needed. I had one month left on my existing Pro license so I decided to give this offer a whirl. Thanks GotD, the program is working a treat! I recommend uninstalling your existing program and installing the GotD version. The reason being that I tried inputting the new code to my existing program and although I got the 6 months (note that I lost that month that I had left) the software wasn't displaying all my drives properly - my SSD drives were not listed. That made me wonder if it was the free version at first. Once I uninstalled/reinstalled the program from the download file everything was correctly restored; I have all my drives showing once more and I can see I have a 6-month Pro version. It all seems to work just as before. I had one month left on my existing Pro license so I decided to give this offer a whirl. Thanks GotD, the program is working a treat! A little note for existing users: I recommend uninstalling your existing program and installing the GotD version. The reason being that I tried inputting the new code to my existing program and although I got the 6 months (note that I lost that month that I had left) the software wasn't displaying all my drives properly - my SSD drives were not listed. That made me wonder if it was the free version at first. Once I uninstalled/reinstalled the program from the download file everything was correctly restored; I have all my drives showing once more and I can see I have a 6-month Pro version. It all seems to work just as before. ChrisM, you DO NOT WANT SSD DRIVES LISTED OR DEFRAGED!!! SSD drives do not benefit one iota by defragging, in fact you will decrease the available writes/erase cycles left considerably by defragmenting. With electro-mechanical drives such as magnetic or even optical drives file fragmentation can impose significant extra seeking and re-syncronisation in order to find and read the next cluster in a fragmented file but SSDs incur no greater delay reading the very next logical cluster on the drive than reading the logical cluster at the far end of the drive and then back to start of the drive so zero performance gain is achieved. But since to defragment a drive takes more read/write cycles than originally went into placing the data on the SSD to start with it causes masses of unnecesary write/erase cycles. I'd go back to the version that correctly did not display the SSDs as you should not be tempted to defragment them like you do normal hard drives. ChrisM, you DO NOT WANT SSD DRIVES LISTED OR DEFRAGED!!! SSD drives do not benefit one iota by defragging, in fact you will decrease the available writes/erase cycles left considerably by defragmenting. With electro-mechanical drives such as magnetic or even optical drives file fragmentation can impose significant extra seeking and re-syncronisation in order to find and read the next cluster in a fragmented file but SSDs incur no greater delay reading the very next logical cluster on the drive than reading the logical cluster at the far end of the drive and then back to start of the drive so zero performance gain is achieved. But since to defragment a drive takes more read/write cycles than originally went into placing the data on the SSD to start with it causes masses of unnecesary write/erase cycles. I'd go back to the version that correctly did not display the SSDs as you should not be tempted to defragment them like you do normal hard drives. TK, please do not distress yourself. The program is not defragging my SSDs. As it happens I have switched off the automatic trim option as it has never made much difference to anything. RCory, this appears to be the Pro version. As far as I can tell from their website the non-Pro version is free anyway. I guess a paid-for/licensed version = Pro. Nick, you are right, of course. This program, however, doesn't defrag SSD drives, it "trims" them. Trimming is the correct and safe way to do it. It also handles SSHDs correctly by trimming the SS part and defragging the HD part. So I believe this program is safe for all three types of hard drive - SSD / SSHD / HDD. I have all of these and have had no problems with this software over the past 11 months of Pro ownership. Nick, you are right, of course. This program, however, doesn't defrag SSD drives, it "trims" them. Trimming is the correct and safe way to do it. It also handles SSHDs correctly by trimming the SS part and defragging the HD part. So I believe this program is safe for all three types of hard drive - SSD / SSHD / HDD. I have all of these and have had no problems with this software over the past 11 months of Pro ownership. A good defrag program will know that you Trim an SSD and do the correct procedure. Nick, A good defrag program will know that you Trim an SSD and do the correct procedure. ChrisM, but the from windows 7 and above windows TRIMS SSDs that support the command anyway! And again unecessary TRIMing of a drive can induce unnecesary erase cycles in an SSD. The only operating systems that require external TRIMing are the ones that are not SSD aware like Vista, Server 2003, Server 2008 and XP and I am very dubious about this company understanding how to TRIM an SSD under those operating systems properly without first allocating all the freespace first in order to create a free space map to then issue the TRIM commands which isa bad idea as it creates extra writes to the SSD which reduces the drives life. It also needs to handle the SCSI dellocate command to TRIM SSDs that are connected via USB devices that emulate a SCSI interface and translate SCSI deallocate command into SATA TRIM commands. I note that on the product comparision there is no mention of TRIM support in either the Free or paid for editions, so they can't be that interested in pushing the concept. I also note that the price listed in the information pannel is that for 1 year and we are only getting a 6 month license which they do not sell, so this is just an extended trial and not a true giveaway of a "license we could otherwise buy"
ChrisM, but the from windows 7 and above windows TRIMS SSDs that support the command anyway! And again unecessary TRIMing of a drive can induce unnecesary erase cycles in an SSD. The only operating systems that require external TRIMing are the ones that are not SSD aware like Vista, Server 2003, Server 2008 and XP and I am very dubious about this company understanding how to TRIM an SSD under those operating systems properly without first allocating all the freespace first in order to create a free space map to then issue the TRIM commands which isa bad idea as it creates extra writes to the SSD which reduces the drives life. It also needs to handle the SCSI dellocate command to TRIM SSDs that are connected via USB devices that emulate a SCSI interface and translate SCSI deallocate command into SATA TRIM commands. I note that on the product comparision there is no mention of TRIM support in either the Free or paid for editions, so they can't be that interested in pushing the concept. I also note that the price listed in the information pannel is that for 1 year and we are only getting a 6 month license which they do not sell, so this is just an extended trial and not a true giveaway of a "license we could otherwise buy"
TK, one can easily turn off the program's SSD operations and just defrag regular HDDs if there are concerns about it being potentially harmful. Just untick/uncheck the relevant drives/s in the software interface. You may be right with your concerns and right to raise them here for all to consider. I'm not a technician, I guess each user should perhaps decide for themselves what level of TRIMming they feel is appropriate for their situation. I was just trying to reassure the original poster that this software was able to work with an SSD by TRIMming it and could handle several disk types including newer hybrids. jj juice, I actually find this defrags better than the basic windows version. Win 10 also has a built in firewall and anti-virus, so I assume you don't need to use any third party software for those. grange, I was an avid user of Auslogics Defrag Pro (paid version) for many years. It's just not needed in Win10 OS. c) whether this is really OK for a hybrid HD-SSD like the Maxtor Momentus XT. Could one of our knowledgeable readers let us know a) if this is any better than the native defrag in Windows XP, 7 or 10, and b) whether this is really OK for SSD, and c) whether this is really OK for a hybrid HD-SSD like the Maxtor Momentus XT. Thanks. glnz, ANYTHING is better than the native Windoze tools. a) better because you have five options for how to defrag the drive (large files / free space / fast / defrag&optimise / defrag&prioritize). The Windows tool gives no options. b) I have two SSDs and they seem fine. This program does not defrag them, it "trims" them. This is the correct and safe way to do it, I believe. c) I think the answer is yes to this too. I have recently added a Seagate Firecuda SSHD drive to my system. I have watched this software at work - first it trims then it defrags so clearly it recognises both parts of the drive. As far as I can tell the drive is working just fine. glnz, I'm no expert but for what it's worth here is my opinion: a) better because you have five options for how to defrag the drive (large files / free space / fast / defrag&optimise / defrag&prioritize). The Windows tool gives no options. b) I have two SSDs and they seem fine. This program does not defrag them, it "trims" them. This is the correct and safe way to do it, I believe. c) I think the answer is yes to this too. I have recently added a Seagate Firecuda SSHD drive to my system. I have watched this software at work - first it trims then it defrags so clearly it recognises both parts of the drive. As far as I can tell the drive is working just fine. I still have 7 months left on my pro version now. I would lose a month if I took this one. bad timing. Well the smart defrag I have now doesn't expire till August and if i take this one and install now....I'm cheating myself out of 3 months of the pro version ...SORRY bad timing...I keep the pro version I have.. When I upgraded using this download it kept my old registration info. If you have more than 180 days left then don't put the new registration in. Jerry, Thanks for that tip...I got it and your right it kept my old registration so I did n't lose any months regards from Thailand.